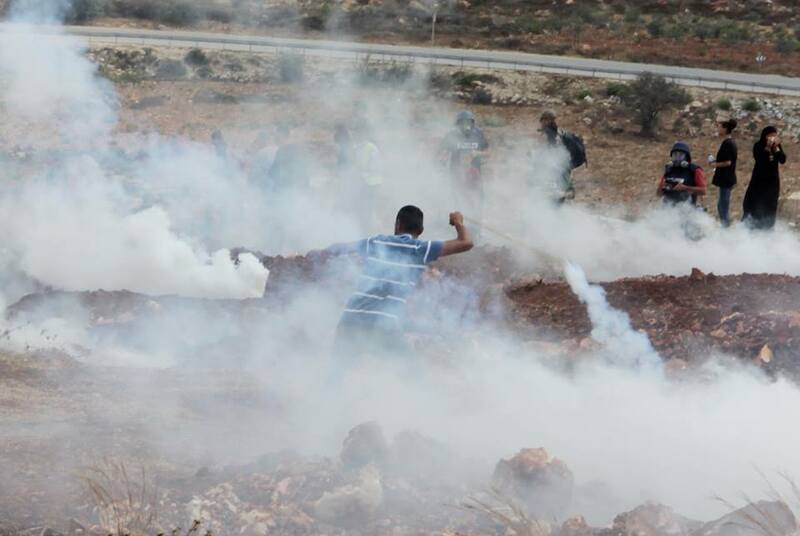 Activist on the ground in Nabi Saleh are reporting that Israeli Occupation Forces began firing teargas and rubber coated steel bullets at unarmed demonstrators five minutes after regular Friday demonstration started. 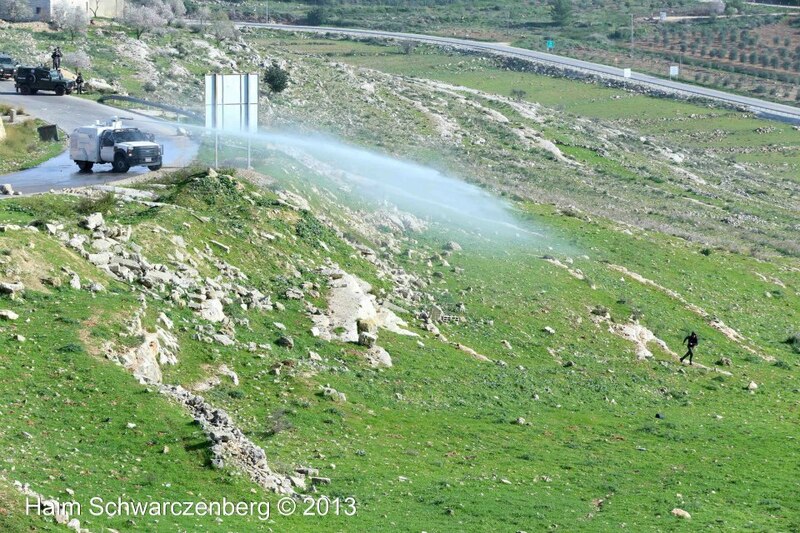 According to activists the IOF fired 5 barrages of tear gas shot from an Israeli military jeep. At least two protester have been injured, one man has been shot with a rubber coated steel bullet in the leg and another person has been shot twice in the arm with rubber coated steel bullet. Nariman Tamimi and son Waed, at her brother’s funeral. 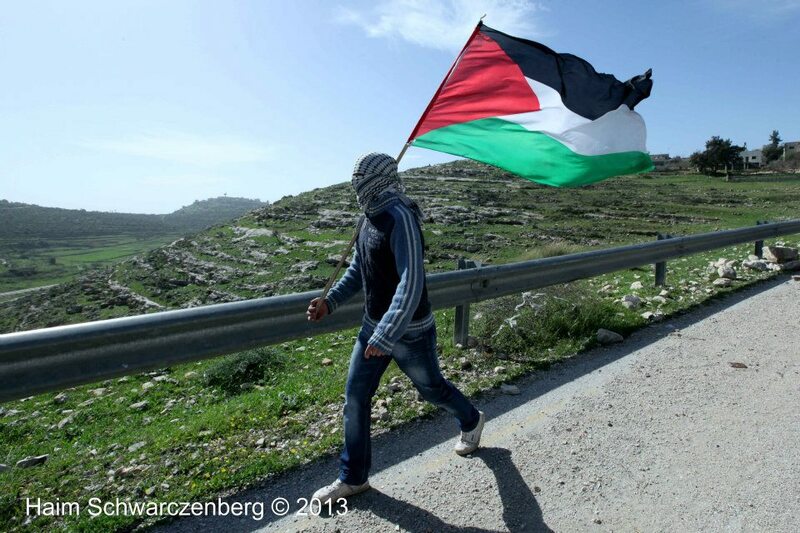 Tuesday report: Marches took place in several locations and cities across the West Bank, one injured in the head from tear gas grenade and more than thirteen arrested. Nabi Saleh: Thousands took part in martyr Rushdi Tamimi’s funeral today. The funeral procession began in Ramallah hospital and marched through Irsal Street in the city, followed by a military funeral. His burial took place in the village of Nabi Saleh. Youth clashed with the army who fired tear gas, rubber coated steel bullets and live ammunition. Hebron: about ten thousand participated in the funeral of martyr Hamdi Falah. Clashes erupted following the funeral and spread across the city and governorate. Clashes were also reported at Bab Alzawyeh by the old city, which continued until the late evening. wo people were arrested. 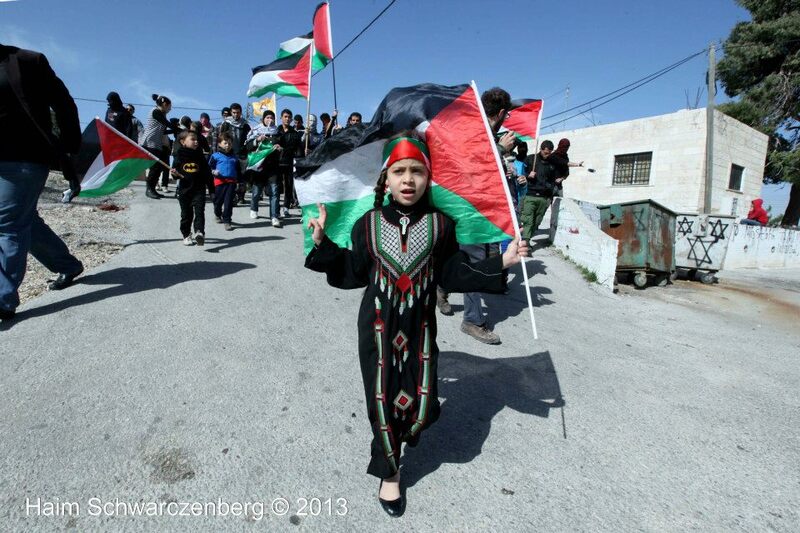 Jenin: More than a thousand protesters marched today from Jenin city to the Jalameh checkpoint. 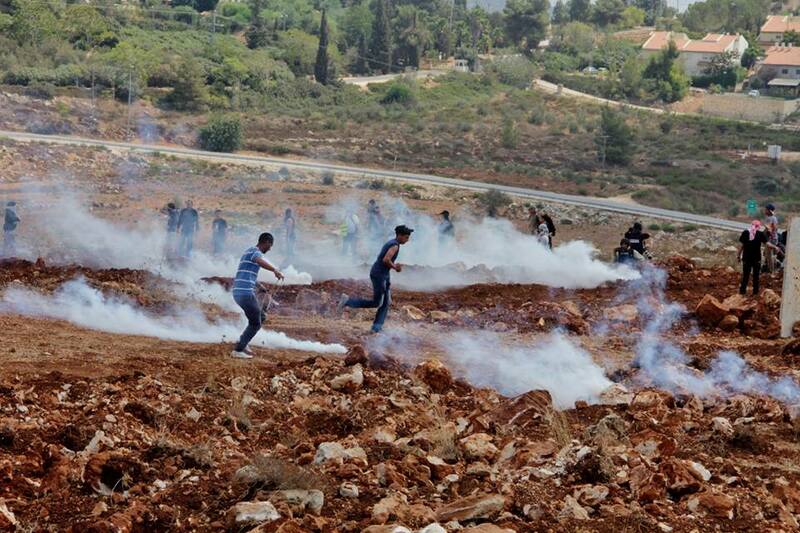 Clashes erupted with the army who fired tear gas canisters and rubber coated steel bullets extensively. Six people were reported to have been arrested. Atara: hundreds of protesters reached Atara checkpoint. 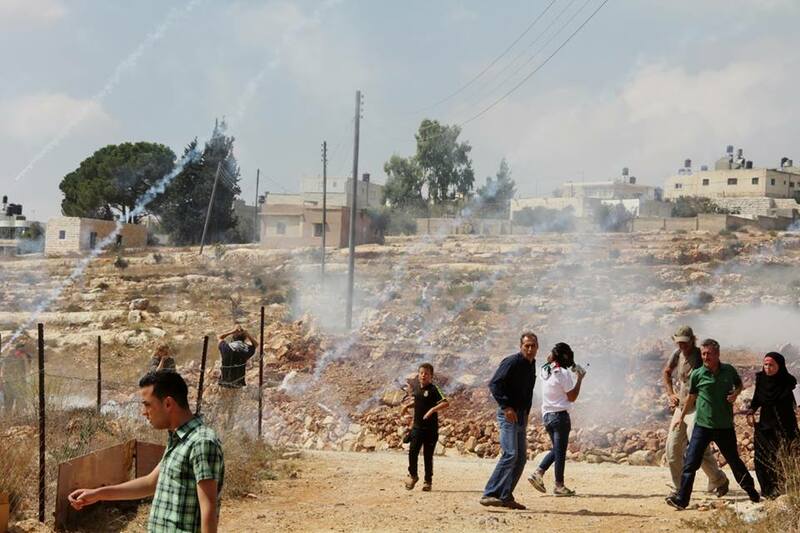 Clashes erupted with the army. Few injuries were reported from rubber coated steel bullets. Soldiers also attacked two photojournalists today. 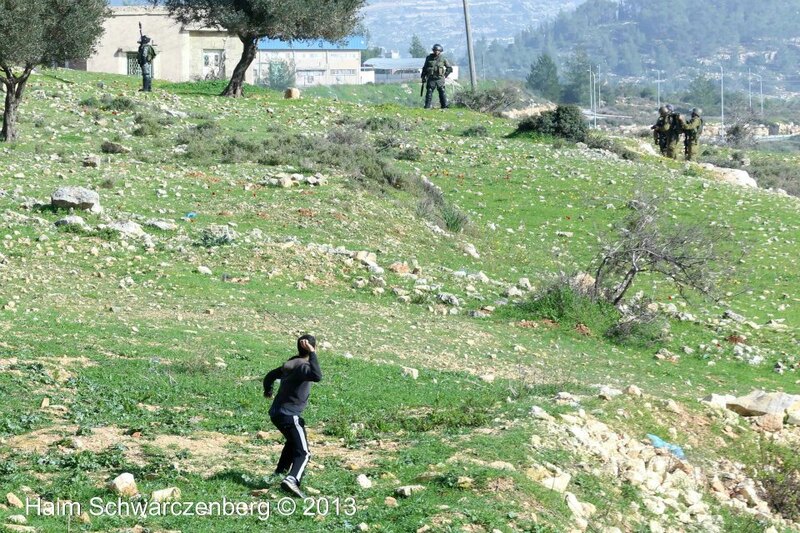 Ni’lin: clashes erupted between tens of residents and soldiers after the army entered the village. Soldiers are fired live ammunition, tear gas and rubber coated steel bullets.Nablus: Hundreds of protesters marched toward Huwara military checkpoint. Soldiers fired great amounts of tear gas and rubber coated steel bullets. Several cases of suffocation were reported. Bethlehem: more than a thousand protesters protested next to Belal Ben Rabah Mosque (Rachel’s Tomb). Clashes erupted with soldiers as they raided the entrance of the city. More than ten injuries were reported from rubber coated steel bullets and tear gas, including one from a canister hitting a protestor’s head. Two people were arrested. 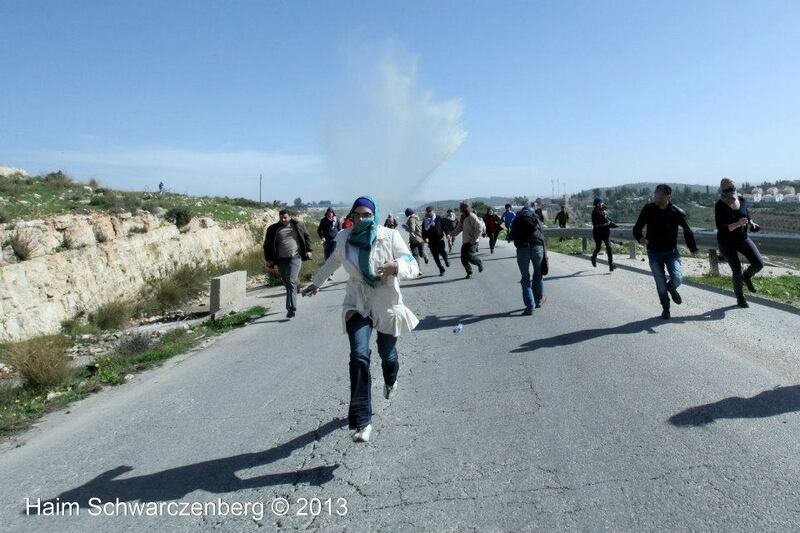 Jerusalem: Four students were arrested during a demonstration at the Hebrew University against the assault on Gaza. 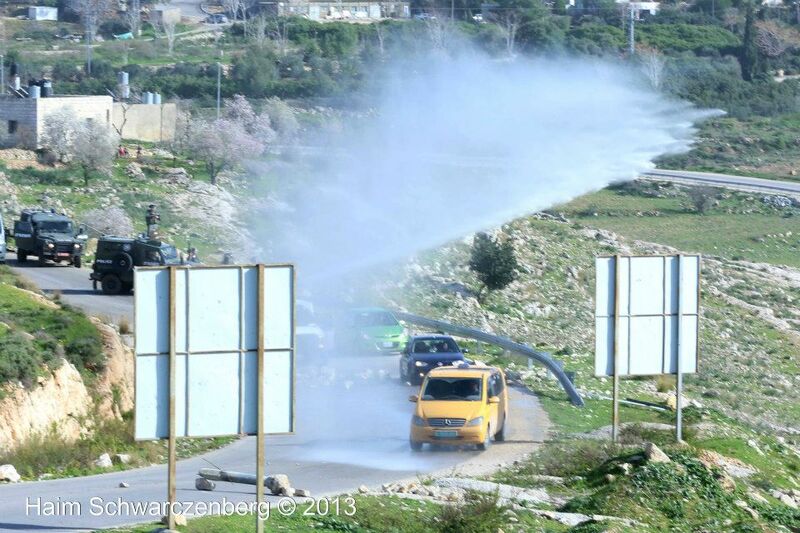 Clashes also erupted with the army at Al-Issawiyeh village. 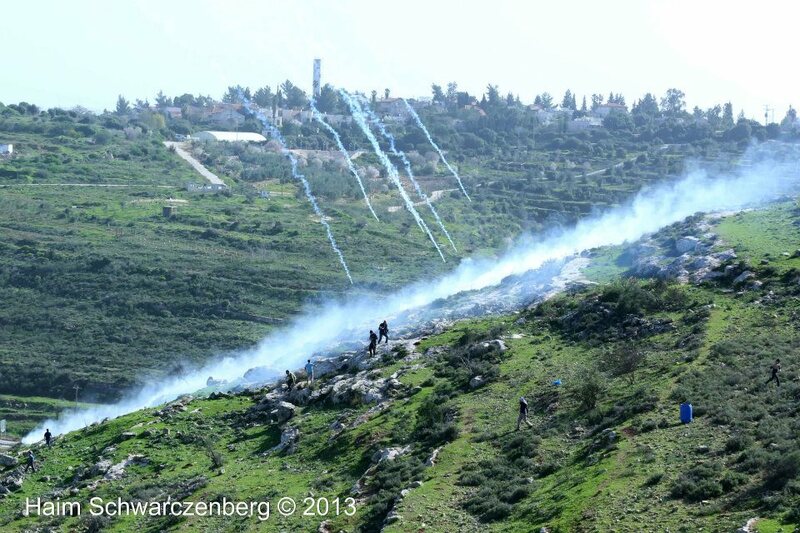 Soldiers shot tear gas at houses and rubber coated steel bullets at protesters.